120 V/5,000 BTU or 240 V/9,200 BTU. Patented Flame technology. Flame operates with or without heat for year round enjoyment. Dimplex fireplace logs are hand crafted and molded from real wood logs, offering an incredibly realistic log set. RV compatible. 2 Yr Manufacturer’s Warranty. 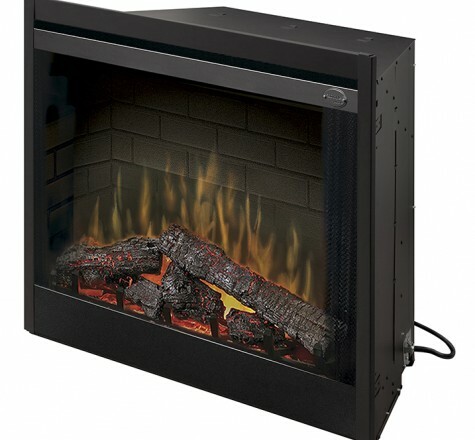 Instantly bring an existing fireplace to life with an incredibly lifelike electric flame. The pulsating embers and LED inner glow logs molded from wood logs create an incredible realism that can become the focal point of any room. Unit may also be wired with separate wall switches (not included) to control flame and optional wall thermostat to control the heater.